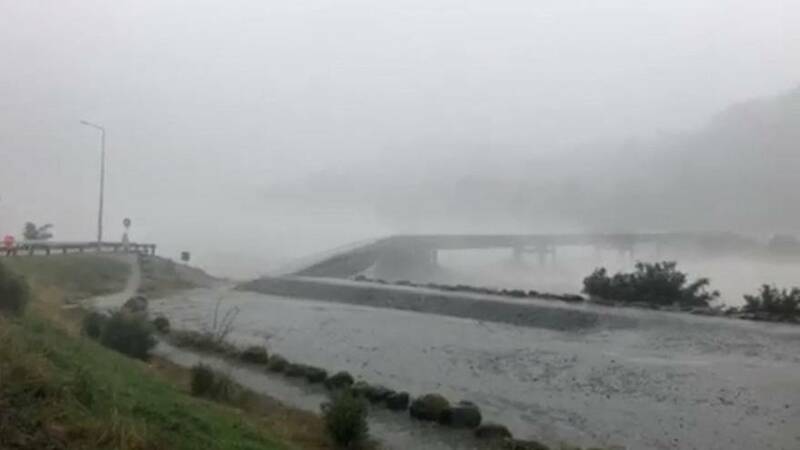 Dramatic footage showed a traffic bridge being washed away as a heavy storm lashed New Zealand's West Coast on Tuesday (March 26). The bridge in South Island's Franz Josef's township could be seen slowly breaking apart, spilling concrete and asphalt into the swelling Waiho river, accompanied by a loud disintegrating sound. Local media reported that roads have been closed, with the main river swelling to record levels and a state of emergency has been declared in the wider Westland district. New Zealand's MetService had issued a severe weather warning earlier, with forecasts of up to 700 millimetres of rain.